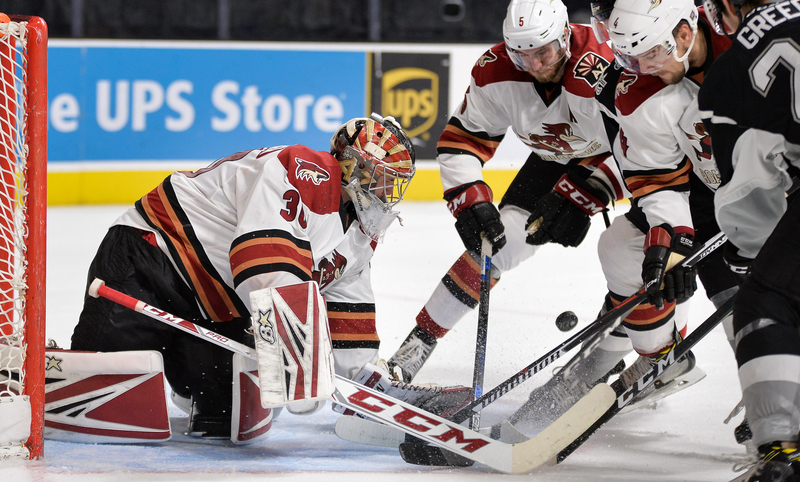 They struck early, they struck late, but those pair of tallies weren’t enough for the Roadrunners in their 4-2 loss to the San Antonio Rampage Saturday night at the AT&T Center. Tucson’s goals came 48 seconds into the game, and with 48 seconds remaining. With Garret Ross’ line getting the start, the 24 year-old forward struck for his first goal on the game’s opening shift when he whacked home a rebound from a Dakota Mermis point shot, giving the Roadrunners an early 1-0 lead. Taking a one goal lead into the second period, the Roadrunners saw an extreme change in momentum, control, and zone time – the Rampage turning the tables on Tucson’s solid first period by outshooting the visitors 18-6. San Antonio struck for two goals in a 2:40 minute span in the second to take a 2-1 lead into the third period. The Rampage didn’t slow the pace in the third, tacking on another pair of goals – including a shorthanded marker, to take a commanding 4-1 lead with 8:28 left to play. 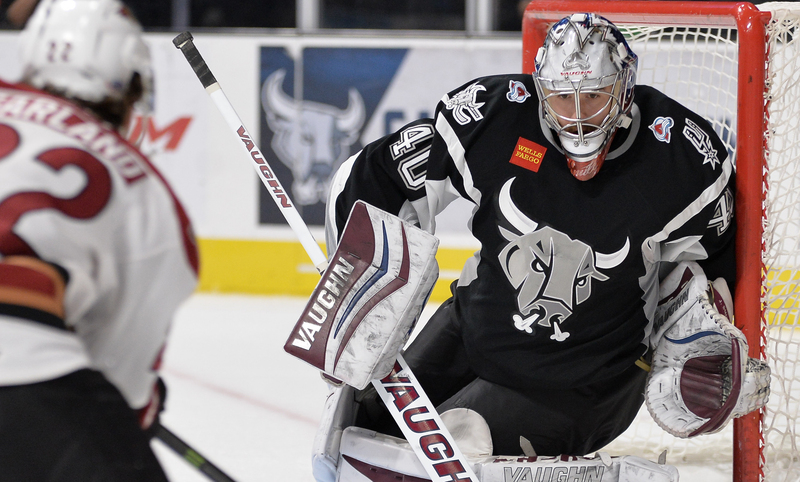 Marek Langhamer was pulled from the game for Justin Peters following San Antonio’s fourth goal, he stopped 30 of 34 shots faced. During the game’s final stages, Christian Fischer corralled a rebound from a Kyle Wood shot and buried it into an open net to register the Roadrunners’ second goal of the evening, his fourth of the weekend, and his fifth in three games. The Roadrunners now return home for a two-game set against the Bakersfield Condors Tuesday and Wednesday night at Tucson Arena. Both games are scheduled for a 7:05 PM start.